We love printing personalised tarot cards - they are always so different and innovative as far as personalised playing cards go. Tarot cards traditionally have 78 cards in the deck, but we can create packs with any number of cards for you, to suit your design entirely. 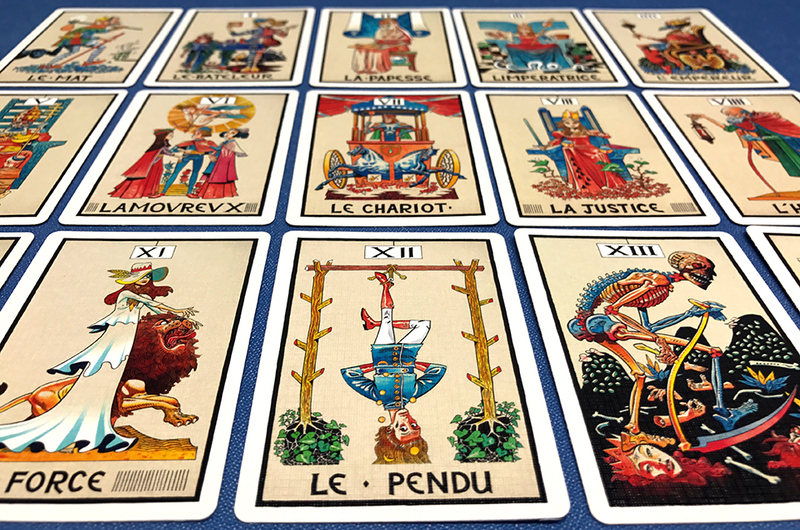 With roots in the arcane and magical, tarot is an exciting world to delve into, and our personalised playing cards allow you to create your own entirely personalised deck! Although they started as a pack of cards to play games with in the middle of the 15 century, by the end of the 18 century people were starting to use the cards for divination and fortune telling. We have printed so many different packs in the past where people have sent us their own artwork to use and display on Tarot and Angel cards, it is always refreshing to see people’s own perceptions of what the cards mean and how they choose to display each attribute. Some even opt for our larger sizes such as Double Poker, Education or even A6 to really show off their artwork at a much larger size. If you have a tarot project that you would like to look at getting printed, please don’t hesitate to get in touch, we can even print one sample pack for you just to trial it before going ahead and ordering lots of packs of cards.